My name is Sean Flannery, the grandson of Charlie Whyte, Patriot and Irish man. I’m here today to represent the Whyte and Flannery families, as there are many proud relations and descendants of Charlie, alive and living in Athenry today. My grandfather was born in Athenry in 1880. In 1914 Charlie Joined Óglaigh na hÉireann and two years later in 1916, he was involved in The Easter Rising at the Agricultural Station in Athenry. During Easter week Charlie and his comrades, engaged and repelled the advances of the Crown Forces. He was one of thirty four men from County Galway who were tried for complicity in The Rising and sentences ranged from acquittal to death. He was later arrested and imprisoned in Arbor Hill, Richmond, Kilmainham and Wormwood Scrubs for those activities. He was released from prison in March 1917 and when they came out of prison a lot of those men, that’s the Twelve Apostles, and other guys were handed things to take back to Ireland, in parcels, that looked like food parcels. But what was in them, was weapons, which my grandfather handed over when he got here to Ireland, which is witnessed in his statement. He became actively involved in the War of Independence and later on in the Civil War on the Anti Treaty side. My grandfather was awarded the 1916 medal and the service medal 1921, in recognition of his dedicated, courageous, loyal service with Athenry Company, 2nd Brigade, Óglaigh na hÉireann. Charlie was seriously injured during the Civil War and as a result of those injuries, was unable to return to his previous work as a steeple jack. He took up work as a caretaker of the New Cemetery in Athenry. 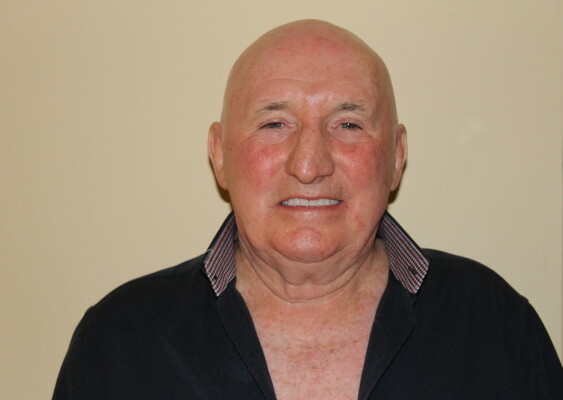 He played with the Athenry Duets, who won three Senior County Football Championships. He also played for the Galway County Football Team. He was also an accomplished handball player. Charlie Whyte died in 1957 and was buried in the New Cemetery in Athenry. Is mise Seán Flannery, garmhac le Charlie Whyte, Náisiúnaí agus Éireannach. Tá mé anseo inniu ar son mhuintir Whyte agus mhuintir Flannery, ós iomaí duine gaoil de chuid Charlie, a mhaireann beo i mBaile Átha an Rí sa lá atá inniu ann agus iad mórtasach as. Rugadh mo sheanathair i mBaile Átha an Rí sa bhliain 1880. Chuaigh sé isteach in Óglaigh na hÉireann sa bhliain 1914 agus, dhá bhliain dár gcionn, bhí baint aige le hÉirí Amach na Cásca ag an Stáisiún Talmhaíochta i mBaile Átha an Rí. I rith Sheachtain na Cásca, theagmhaigh Charlie agus a chomrádaithe le Fórsaí na Corónach nuair a d’ionsaigh siad agus chuir i ndiaidh a gcúil iad. Bhí sé ar dhuine de cheithre dhuine dhéag agus fiche as Contae na Gaillimhe a cuireadh ar a dtriail mar gheall ar bhaint leis an Éirí Amach. Tugadh breitheanna éagsúla orthu, duine a fháil neamhchiontach, a dhaoradh chun báis nó eile. Gabhadh Charlie agus cuireadh i bpríosún é i gCnoc an Arbhair, i Richmond, i gCill Mhaighneann agus i Wormwood Scrubs mar gheall ar an obair sin. Scaoileadh amach as an bpríosún é i mí Márta 1917 agus nuair a tháinig siad amach, shíntí rudaí chuig go leor de na fir, an Dáréag Aspal agus fir eile, i bpacáistí a raibh cuma pacáistí bia orthu, le tabhairt ar ais go hÉirinn. Ach is éard a bhí iontu, airm, a thug mo sheanathair ar láimh nuair a tháinig sé ar ais go hÉirinn, mar a luann sé sa ráiteas a thug sé mar fhinné. Bronnadh bonn 1916 agus an bonn seirbhíse 1921 ar mo sheanathair mar gheall ar an fónamh dúthrachtach, calma, dílis a rinne sé le Complacht Bhaile Átha an Rí an Dara Briogáid d’Óglaigh na hÉireann. Gortaíodh Charlie go mór i rith Chogadh na gCarad agus ní raibh sé in ann filleadh ar a chuid oibre ina dhreapaire clogáis mar gheall ar an ngortú. Chuaigh sé i mbun oibre ina fheighlí sa Reilig Nua i mBaile Átha an Rí. D’imir sé leis na Athenry Duets, a bhuaigh trí Chraobh i gComórtas Peile Sinsearach na Gaillimhe. D’imir sé d’fhoireann Chontae na Gaillimhe freisin agus bhí cáil air ina imreoir maith liathróid láimhe. Fuair Charlie Whyte bás sa bhliain 1957 agus tá sé curtha sa Reilig Nua i mBaile Átha an Rí.